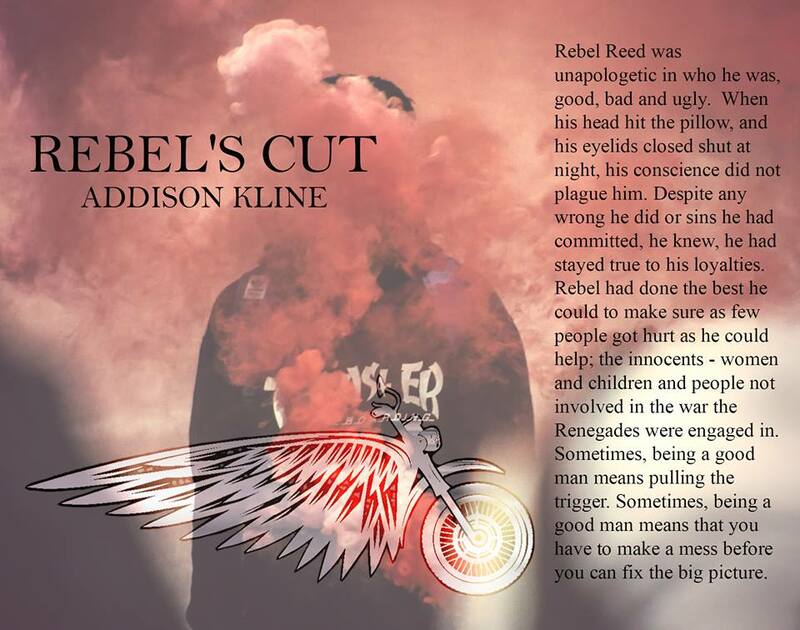 RELEASE BLITZ ~ Title: Rebel’s Cut, Author: Addison Kline, Genre: MC Romance ~ Available Now! 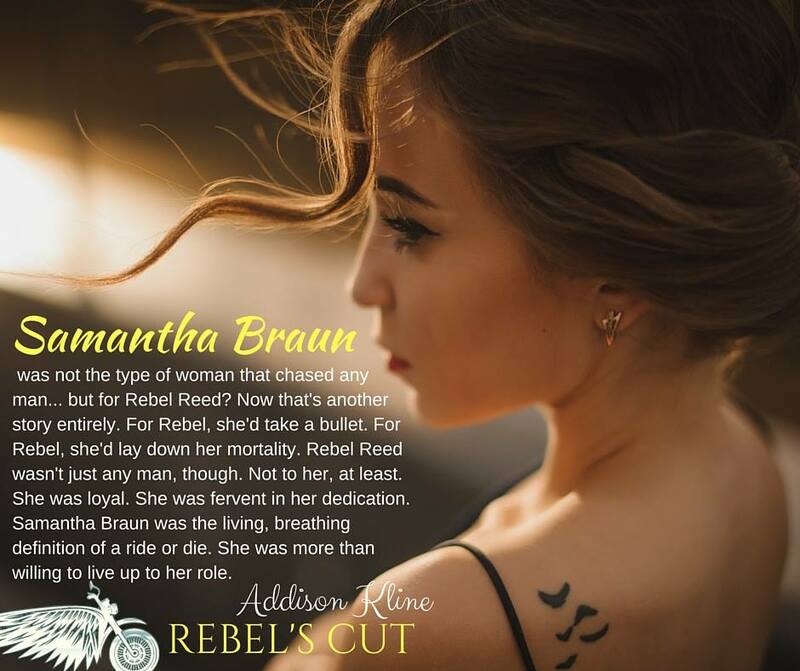 As son of MC’s president, Rebel was being poised for the King’s position, until Rebel found his girl in the arms of his father. After a night of violence, heartbreak and rage, Rebel broke off from the pack. Going Nomad, Rebel left his family, his club, and the girl who wrecked his heart, and ventured out into the world to carve a new destiny. 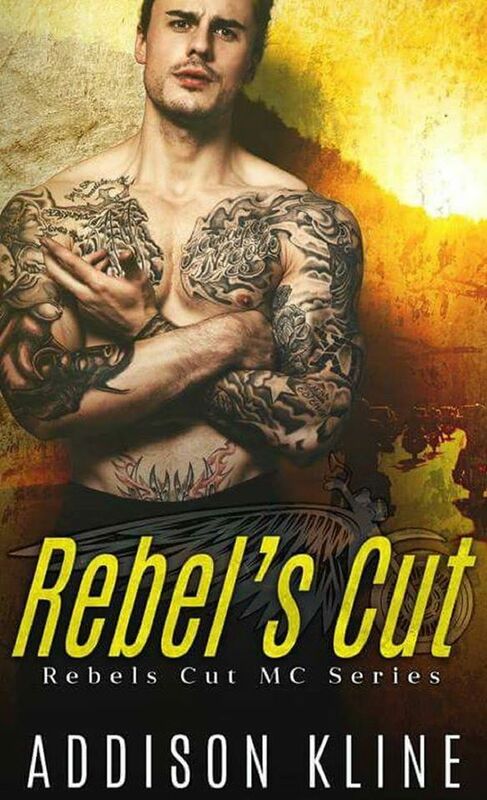 But when tragedy strikes, Rebel is forced back to the town where he left all his demons. There, he will face his father, his ex, his truth, and his destiny. 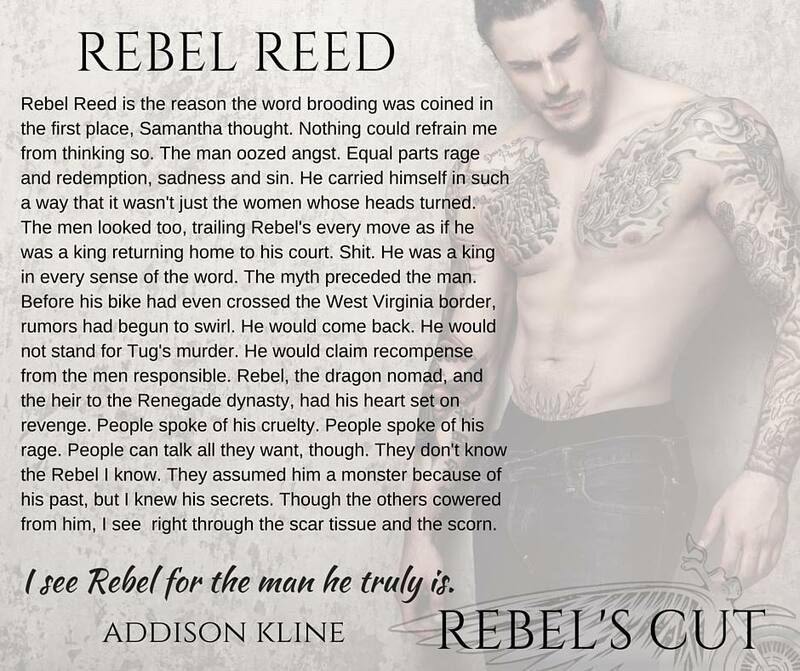 Taking place in Clayton, West Virginia, Rebel’s Cut is the gritty and action packed first installment of a new MC romance series by Addison Kline. Modern girl. Vintage taste. Author. Mother. Wife. Lover of words and furry creatures. Hates idle chit chat. Obsessed with deep conversation. It’s complicated. The professional version…Addison Kline is an International Best-Selling Author of romantic suspense and mystery novels. She resides in Pennsylvania with her family. She is the wife of an Army Veteran and the proud mom of their three sons. When she is not writing, she is immersing herself in music, reading to her heart’s content, and traveling with her family. Addison is a member of the International Thriller Writers Association and while she loves to write in a variety of genres, Addison always says “mystery is her game.” Some of her other favorite sub-genres to write include romantic suspense, psychological thrillers, crime, MC and mafia thrillers.